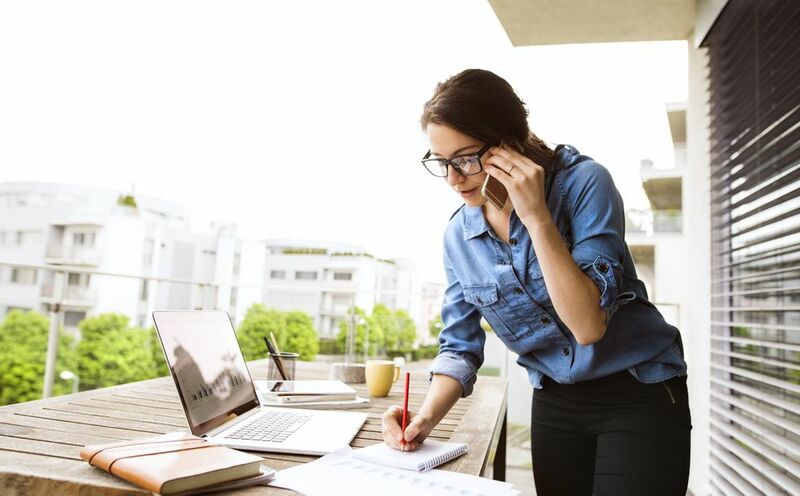 If you've made the decision that you want to work from home, the next question for many is: Should I work for myself or find a telecommuting employment position? Frankly, circumstances very often make this decision for us. However, if you're lucky enough to be weighing the merits of self-employment (or freelancing) against traditional employment, consider these pros and cons of self-employment. The freedom to choose your schedule is one of the most attractive benefits of freelancing. Because the IRS defines an independent contractor as someone that a company does not direct "the means and methods" by which they work, they naturally have more freedom in their schedule. Independent contractors are often given work on a project basis and paid upon completion of the work. When companies hire freelancers, they are not making as much of a commitment as they are when they are hiring an employee, and so they may be willing to hire someone for a one-time job with a less impressive resume. So freelancing can be a way to break into a new line of work. But the work will have to prove your abilities if you want to get more. While independent contractors can work in an office, because they are not as closely overseen as employees they are more likely to be based at home. This can be a benefit for a company to hire contractors because it doesn’t need to provide office space for them. The self-employed can write off a number of different business expenses on their income taxes. Among the self-employment tax deductions work-at-home contractors enjoy is the home office deduction. The checks that independent contractors receive from clients are typically larger than they would as employees because no taxes are taken out. That doesn’t mean they don’t owe taxes, but they get more money upfront. Because hiring a contractor may be cheaper for a company, it may be able to offer a higher rate of compensation. However, this is by no means always the case. The last pro on the previous list seems to run counter to the first con on this list. Remember that companies are always looking at their bottom line, and so compensation can vary wildly depending on the skills desired and the marketplace for those skills. Because an independent contractor is often done on a project basis, there is no guarantee what the hourly rate might be or whether it is greater than the minimum wage. Employers pay half the cost of an employee’s Social Security and Medicare taxes. Contractors pay all of these taxes through the self-employment tax. Employers collect income and payroll taxes through payroll deductions and send them to the government. The independent contractor must take on sending in these payments, and quarterly estimated tax payments may be required. While it’s nice that the costs of running a business are tax deductible, it’s even nicer when someone else pays for your Internet connection, office supplies, and other business needs. Typically employers pay for these types of costs. Companies hire independent contractors often because they have short-term projects or an irregular workflow. Contractors work may come in feast or famine stints. Just as the work can be irregular, so can the payments. It can make personal budgeting difficult. Unlike a paycheck, which comes on schedule with no action by the employee, a contractor must usually send an invoice to be paid. And if the invoice is not paid on time, it is the contractor who must follow up to ensure payment. And in a few cases clients may never pay at all, which means it falls on the contractor to take legal action or accept being stiffed.